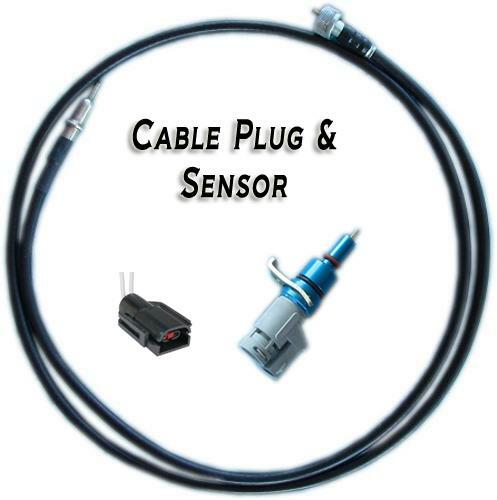 New VSS Speedometer Cable, Sensor & Pigtail for 5.0L or 5.8L V8 EFI Conversions. This cable threads on to the stock Bronco speedo head and plugs into a Ford VSS that you insert into the Dana 20. Cable measures approximately 75" in overall length.